Why only one French restaurant made top 10 on the list of "The World’s Fifty Best Restaurants"
In the food world, one of the biggest stories of the last 50 years has been the waning of French culinary authority, the end of a 300-year reign. In the latest annual ranking of “The World’s Fifty Best Restaurants,” only one French restaurant, Mirazur, appears in the top 10. And its menu reflects modernist (“molecular”) gastronomy – a recent trend of using chemistry in the kitchen – rather than anything associated with traditional French cuisine. Since the 18th century, France had been equated with gastronomic prestige. The focus of its cuisine has been simplicity, developed as a reaction against medieval reliance on spices; instead of possessing a sharp or sugary taste, its dishes contained butter, herbs and sauces based on meat juices to create a rich, smooth flavor. The first elegant restaurant in America, Delmonico’s, was founded in New York in 1830 with a French chef, Charles Ranhofer, whose food was considered an exemplar of French tastes and standards. Until the end of the 20th century, the most prestigious restaurants around the world were French, from London’s La Mirabelle to San Francisco’s La Bourgogne. In 1964, the first New York Times “Guide to Dining Out in New York” listed eight restaurants in its top three-star category. Seven were French. Meanwhile, beginning in 1963, Julia Child’s hugely popular television show “The French Chef” taught Americans how to replicate French dishes in their own kitchens. In my recently published book, “Ten Restaurants that Changed America,” I show how one restaurant, Le Pavillon, came to epitomize the rise and fall of French cuisine. Four of the 10 restaurants featured in my book offer some version of French food. Delmonico’s described itself as French, but it also offered American game and seafood, while inventing dishes such as Lobster Newberg and Baked Alaska. Antoine’s, a New Orleans restaurant that opened in 1840, now portrays its cuisine as “haute Creole,” but it, too, presented itself as French for most of its history. Chez Panisse in Berkeley, California – the original inspiration for the current farm-to-table vogue – initially tried to imitate a rural French inn before becoming one of the first restaurants in America to promote local food with high-quality, basic ingredients. But while these restaurants reflect French influence, only one consistently and deliberately imitated Parisian orthodoxy: New York City’s Le Pavillon. 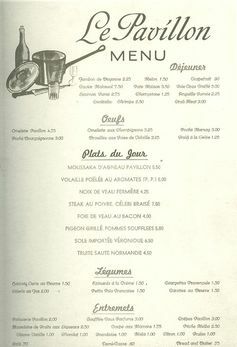 It began as a pop-up-style eatery called “Le Restaurant Français” at the French Pavilion during the New York World’s Fair of 1939-1940. But the sudden German conquest of France in the late spring of 1940 left the staff with a choice: Return to Nazi-occupied France or stay in the U.S. as refugees. 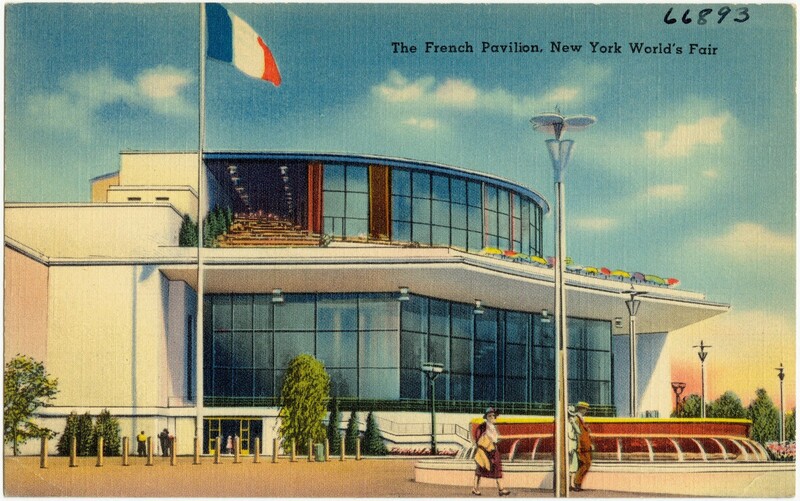 At the New York World’s Fair, the French pavilion had one of the priciest and most popular restaurants: Le Restaurant Francais. 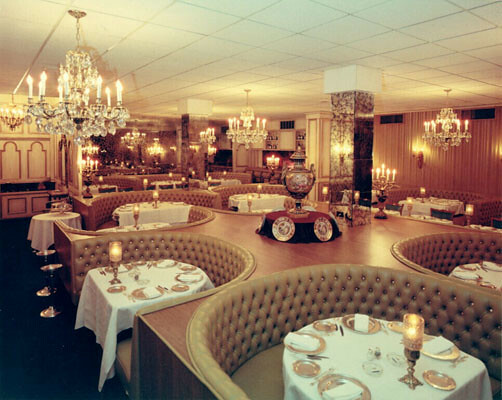 Maître d’hôtel Henri Soulé, together with those who stayed, found permanent quarters in midtown Manhattan and rebranded it “Le Pavillon.” With a preexisting reputation for excellence from the fair, the restaurant was an instant success. Le Pavillon and Soulé soon ruled over the city’s restaurant scene, rising to become the undisputed top-ranked establishment in America, with exacting culinary standards that surpassed its Francophile competition. French writer Ludwig Bemelmans thought that Soulé provided not only the finest meals in Manhattan but also eclipsed those in France. In his memoirs, famous food critic Craig Claiborne recalled the food as “fit for the gods,” and a throng of celebrities passed through, from the duke and duchess of Windsor to the Kennedy clan (well, until they quarreled with the irascible Soulé during John F. Kennedy’s presidential campaign). Most high-end American restaurants at the time were opulent but served either French standards such as duck a l'orange or dishes that weren’t particularly French, such as lamb chops. Le Pavillon’s cuisine, however, was unabashedly pretentious. The more elaborate presentations sent the food writers into raptures: Mousse de Sole “Tout Paris” (sole stuffed with truffles, served with a Champagne sauce and a lobster sauce) or lobster Pavillon (lobster with a complicated tomato, white wine and Cognac sauce). The menu from Le Pavillon. Some of the restaurant’s famous dishes seem rather ordinary by today’s standards. Beluga caviar was (and remains) an expensive delicacy but takes no talent to prepare. Chateaubriand steaks – a tenderloin filet usually served with a red wine reduction or a Bearnaise sauce – routinely exceeded US$100 in today’s dollars. But it takes more skill to select the cut of meat than to prepare and cook it. Soulé himself missed the bourgeois fare of his homeland such as blanquette de veau or sausages with lentil and, paradoxically, prepared these ordinary dishes as off-menu items for customers who, he felt, could appreciate the real culinary soul of France. Those special customers were conspicuously favored, and this is an unattractive aspect of Soulé’s legacy. To the extent that French restaurants in America, to this day, retain a reputation for snobbery and annoying social discrimination, it’s largely traceable to Soulé. He didn’t invent “Siberia,” the part of the restaurant that nobodies are exiled to, where service is slack and borderline contemptuous, but he perfected it. He was an exacting proprietor not just to his harried cooks and waiters but to customers as well, disciplining them with a look or, if necessary, harsh words if they questioned his decisions on where they were seated. The competition for status was not all Soulé’s fault. Joseph Wechsberg, author of a book on Le Pavillon published in 1962, attributed the jockeying for position not to Soulé but rather to a preexisting “battle for survival in the status jungles of Manhattan around the middle of the 20th century.” Even in the supposedly less formal and certainly un-French restaurant scene of today, there is no evidence that sparsely decorated farm-to-table restaurants treat their customers any better than the dictatorial Soulé. Just try getting a reservation at David Chang’s Momofuku Ko in Manhattan’s East Village. The difference was that the short, stout, charming but awe-inspiring Soulé, whom restaurant critic Gael Greene described as a “flirtatious, five-foot-five cube of amiability,” never pretended to be anything but confidently elitist in running his operation. He routinely referred to himself in the third person and treated his staff in a dictatorial, patronizing fashion. Soulé even defied his landlord’s demand for a better table. When, in response, the rent was exponentially raised, he preferred to move the restaurant rather than give in. Soulé’s death from a heart attack at the age of 62 in 1966 was marked by adulatory obituaries. Claiborne memorialized him as “the Michelangelo, the Mozart and the Leonardo of the French restaurant in America.” The restaurant staggered on after Soulé, before shutting its doors in 1971. Following the sudden closing of Le Pavillon, spin-offs – Le Veau d’Or and La Caravalle – would flourish. But if Le Pavillon is now largely underappreciated or even unknown, it is because of the demise of the French model it established: formality and elegance that veered on intimidation. Even before Soulé’s death, a hint of the new competition had emerged in New York’s Four Seasons. The restaurant, which recently closed, opened in 1959 as a daring anomaly: an elegant, expensive restaurant that was not French but rather international and eclectic in its menu offerings. Today, grand French cuisine has yielded to Asian and Latin American influence, the rise of Italian cuisine, the cult of local ingredients and the farm-to-table model. From the 1970s to the 1990s, we witnessed the growing influence of Asian tastes: both specific cuisine (Thai, high-end Japanese) and Asian-European fusions (promoted by chefs such as Jean-Georges Vongerichten). There was also the Italian challenge to French hegemony. Italian cuisine in its American “Mediterranean” form offered simpler, more lightly treated preparations: grilled meat or salads, rather than elaborate, rich sauces. Over the past decade, we’ve seen the rise of new centers of culinary innovation, whether it’s Catalonia, Spain (where molecular gastronomy was pioneered in the 1990s), or Denmark, where foraging for food and new Nordic cuisine is in vogue. These days French cuisine seems traditional – and not in a particularly good way. Unfortunately, its association with snobbery only contributed to its demise – a reputation that Henri Soulé did nothing to discourage.